ICAT training in Duncan. 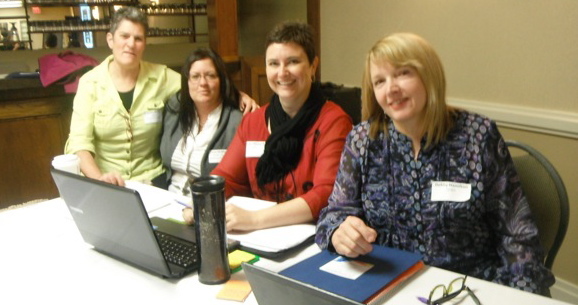 L-R: Cathy Welch, formerly of Cowichan Women Against Violence Society; Constable Lisa McMullin, Vernon RCMP Domestic Violence Unit; Brooke McLardy, Vernon Women’s Transition House Society; Debby Hamilton, Manager, CCWS & ICAT. 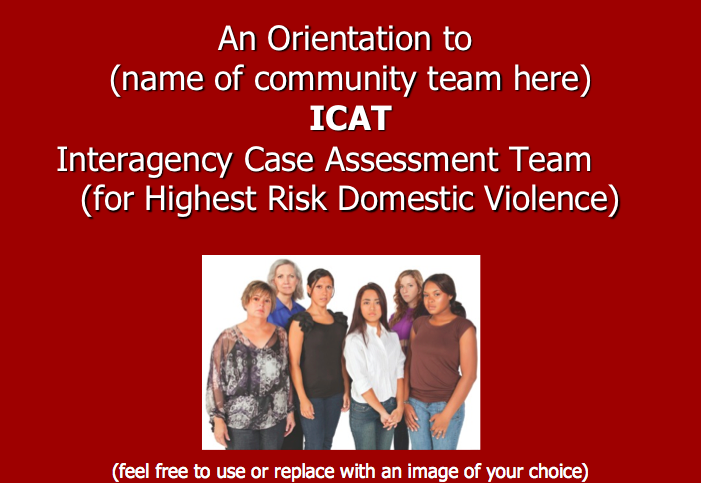 Creating a collaborative risk management plan that addresses victim safety and support and monitoring of perpetrators. ICAT members come from a broad range of disciplines and have different roles and mandates. However, they share the goal of wanting to develop a common understanding of domestic violence threat and a collaborative approach to managing risk and safety. ICAT members also share a desire to keep women, children and communities safer while supporting and monitoring the perpetrator. 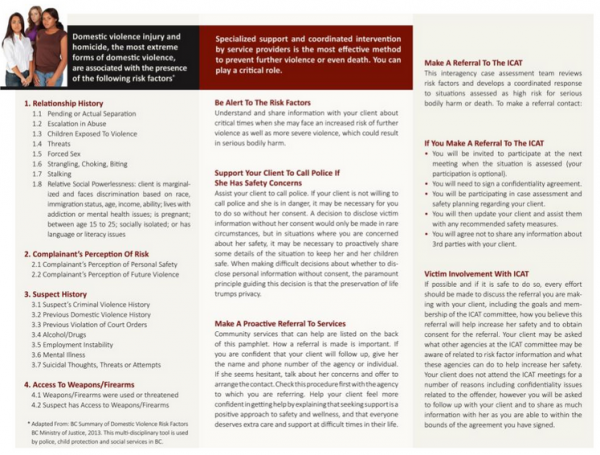 The underlying principle is that with coordinated intervention, injury or death resulting from domestic violence is preventable. 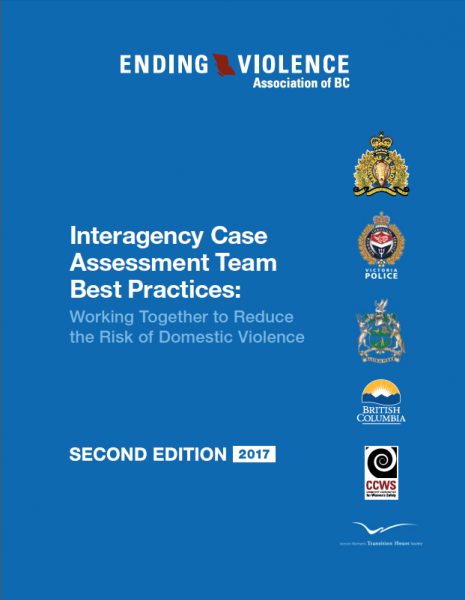 Through their expert testimony in the Lee Inquest and as co-authors of the Keeping Women Safe Report, the Ending Violence Association of BC (EVA BC) and its program, Community Coordination for Women’s Safety (CCWS), made submissions and provided briefing materials to government and the Coroner’s Office on the urgent need for a high risk provincial domestic violence protocol. In 2010, the Violence Against Women in Relationships (VAWIR) Policy was amended and the new policy included a protocol for highest risk cases. It offered clear direction about sharing information across sectors and the need to work collaboratively on responding to domestic violence. 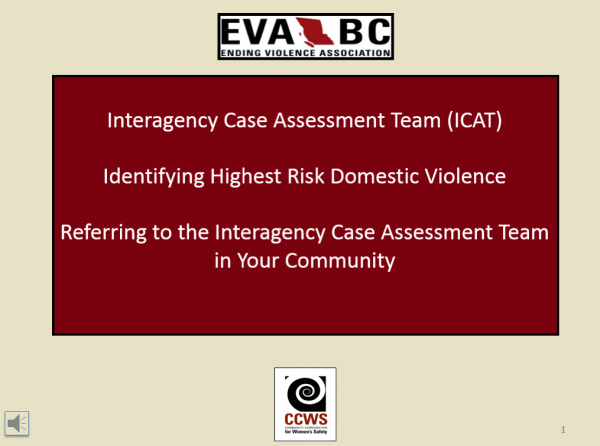 Since 2010, the number of BC communities developing Interagency Case Assessment Teams (ICATs) has continued to grow. By delivering ongoing training and support, CCWS provides communities across the province with the means to develop the foundation, skills and tools needed to move forward. Given the diverse nature of communities in different parts of the province, it is recognized that a one-size ICAT model will not fit all communities, but a common understanding of best practices is crucial. 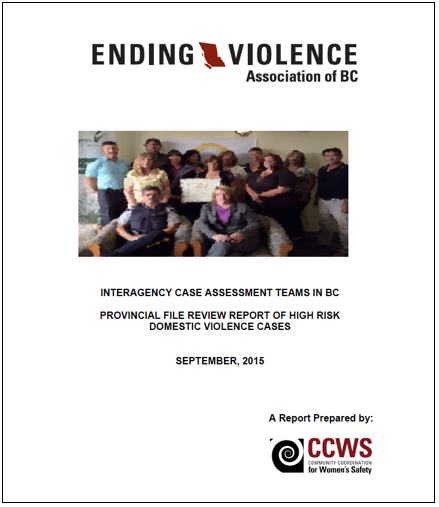 In September 2013, CCWS hosted a two-day Best Practices Roundtable that brought together the expertise of teams in BC with experience in collaborating to review highest risk domestic violence cases. The meeting identified best practices related to safety, privacy and records management and resulted in the first set of best practices to support ICATs. This Best Practices Manual supplements ongoing ICAT training provided by CCWS in collaboration with the RCMP and is meant to be used in conjunction with that training. This September 2015 report provides some quantitative data on ICATs operating in BC. To download this ICAT brochure that can be personalized with your contact information, click on: ICAT Brochure Template. Further resources about cross-sector coordination are available on our Research & Publications page.